Join us for our next interactive session for tips on new features with Power BI. Due to Power BI capabilities growing to an all-time high, it can be a challenge to keep up with new visual components, create compelling dashboards, and truly own your data. Without regular training and practice with new features, Power BI's versatility can sometimes cause confusion among teams and leave users wanting additional guidance. Join BlueGranite for our next session on April 25th at 11am EST, where we will demonstrate new features in Power BI, as well as discuss use cases and how you might be able to apply them within your organization. Here are some insightful topics from past webinar sessions ranging from machine learning, AI, data management, and self-service BI. A well-crafted map draws in viewers with a blend of visual appeal and understandable content. As with any visual, you should put careful thought into how you represent locations in Power BI so that your users gain more insight into the data. 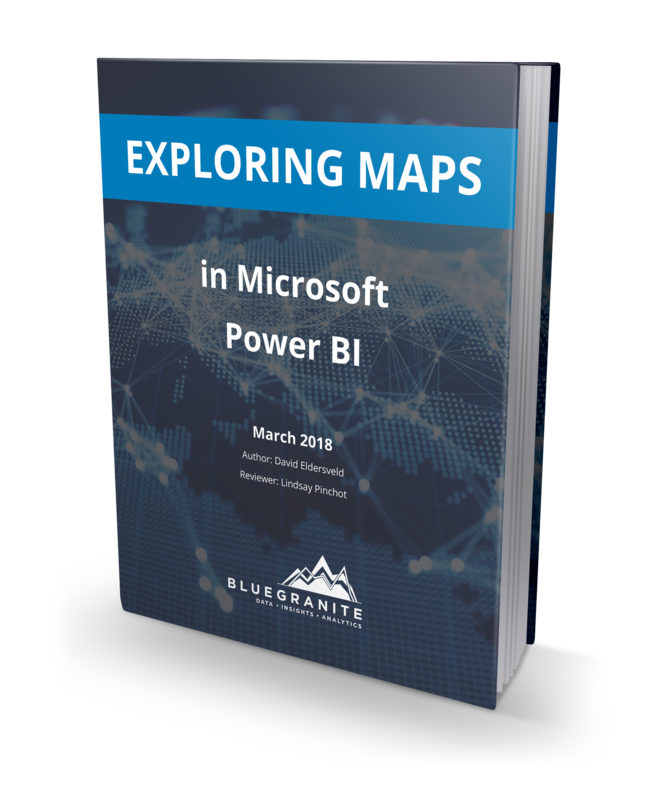 Power BI has several ways to easily craft maps that work well for common use, which we explore in this whitepaper. Download your free copy today to learn more!